Harry N. Abrams, 9781585678600, 384pp. Chip Jacobs is the co-author of The People's Republic of Chemicals and author of The Vicodin Thieves, The Ascension of Jerry, and Wheeler-Dealer. Jacobs’ reporting has appeared in the Los Angeles Times, The New York Times, CNN, Bloomberg View, the Daily News of Los Angeles, L.A. Weekly and newgeography.com, among other outlets. Jacobs, the recipient of numerous writing commendations, lives in Southern California. Visit chipjacobs.com to learn more. 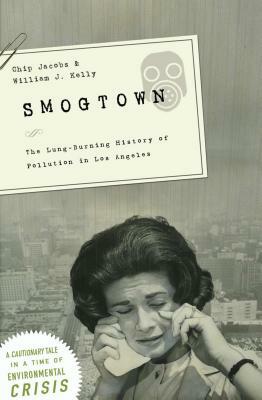 <strong>William J. Kelly</strong> is the co-author The People's Republic of Chemicals and author of Home Safe Home. His reporting has appeared in the Los Angeles Times, Consumers Digest, Inside Climate News, L.A. Weekly, and the California Journal, among other outlets. He was chief spokesman for South Coast Air Quality Management District, the smog control agency for greater Los Angeles, and is currently the senior correspondent for the California Current. Kelly, the recipient of numerous writing awards, lives in the Los Angeles area.